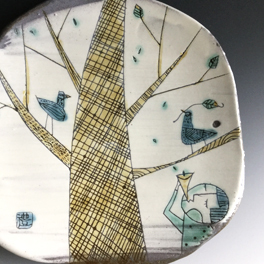 Reiko is a Japanese native and got her ceramic education and experience as a studio potter in Mashiko, a renowned pottery town. 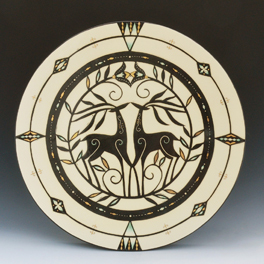 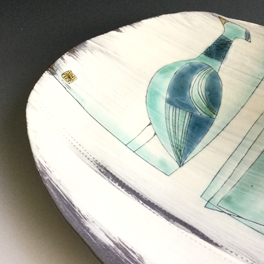 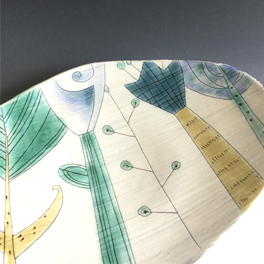 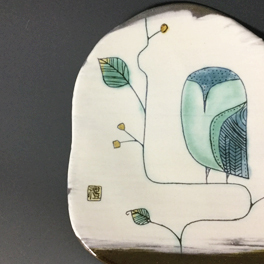 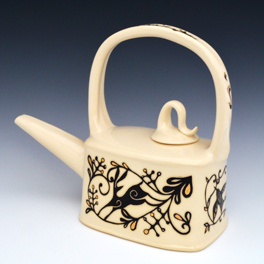 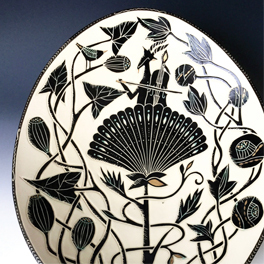 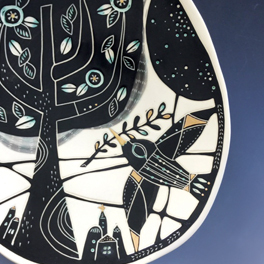 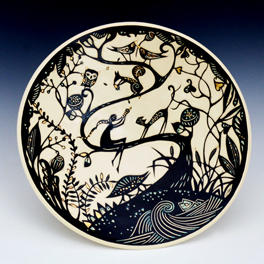 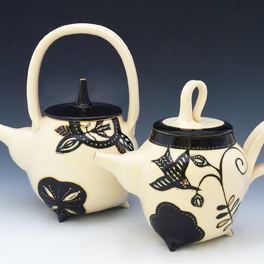 After moving to the US she was exposed to new materials and techniques and developed her signature sgraffito stoneware. 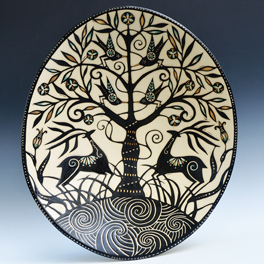 Her work is influenced by the appreciation of subtle beauty and the animistic view of the world of her native land. 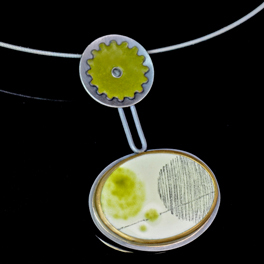 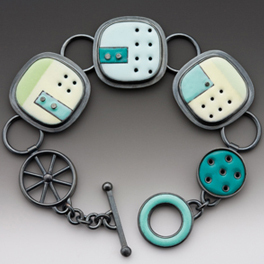 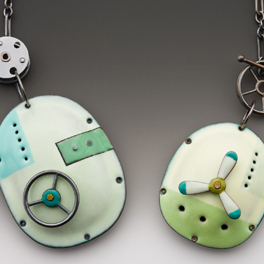 Once here she also studied the techniques of metalsmithing and enameling as well as encaustic media to develop her skills in jewelry and collage making. 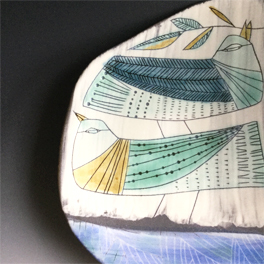 Regardless of the medium her art retains its organic feel, shapes and colors as well as her unique imagery. 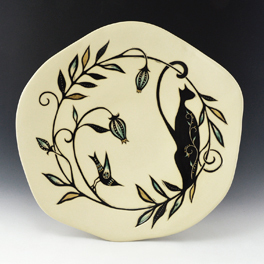 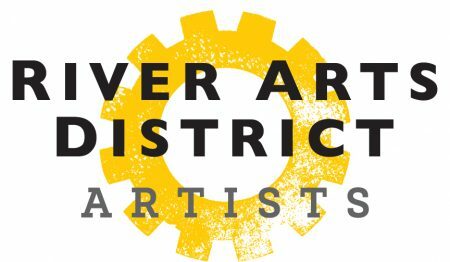 Besides at her RAD studio, she has shown her work in numerous shows such as the Smithsonian Craft show and the American Craft Council Shows. 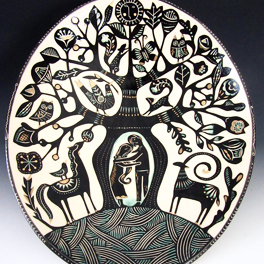 Also her work is in the permanent collection of the Mint Museum in Charlotte.